Getting your first tattoo. Body modification, via tattoos and body piercings, has almost become a right of passage into adulthood these days. However, it’s not something to rush into without a bit of thought and research. Research will help first-timers make good decisions because you don’t want post procedure regret. One of the most important pieces of research to focus on is regarding your tattoo or body modification artist. The internet is a great place to start. Do a search for the piercing and tattoo shops near me and read the customer reviews. Once you’ve narrowed the selection based on reviews, make sure all their licenses are appropriate and up-to-date. Narrowed even further, hit up your favorite social media outlet to gauge the opinions of your social network. You’re likely to get some authentic feedback and possibly even advice about a specific artist. 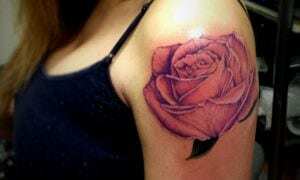 Specific to getting inked, research regarding design is a must. If you’re interested in an inspirational quote, be sure to get the wording correct. If you’re looking to get words inked in a foreign language, be sure to triple check the translation. Symbols are also sometimes overlooked and can have several meanings or interpretations, so be sure to look at multiple sources to avoid an unfortunate mishap. When it comes to body piercing, be sure to look into the different types of hardware and consider the possible consequences of the selected piercing. Let your body modification artist know if you are allergic to any materials and inquire about the process so you know what to expect. Ask questions to make sure you fully understand after care instructions so the healing process goes smoothly. Body modification is a great way to express individuality but requires thoughtful consideration and research. Consulting your social network and conducting a little research will empower you to make smart decisions and enjoy the entire process. If you are in Sin City, come and talk with one of our Las Vegas Tattoo Artist.